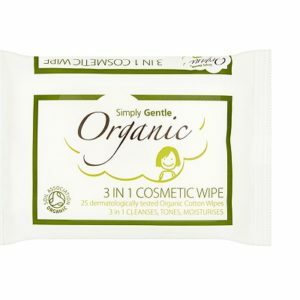 Simply gentle produce a range of products for consumers and professionals. All made of the highest quality and from the purest of materials to cater and care for all the family. Each one certified by the most recognized organisations. Simply Gentle Biodegradable Organic Cotton Wool Buds, with 100% organic cotton tips. These cotton buds are 100% biodegradable, as they have paper stalks, not plastic. Contains approximately 200 buds.